From the best-selling author of Wild, a collection of quotes--drawn from the wide range of her writings--that capture her wisdom, courage, and outspoken humor, presented in a gift-sized package that's perfect for Mother's Day. 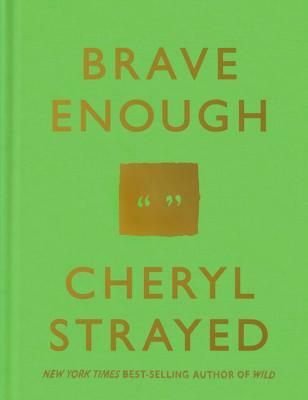 Around the world, thousands of people have found inspiration in the words of Cheryl Strayed, who in her three prior books and in her "Dear Sugar" columns has shared the twists and trials of her remarkable life. Her honesty, spirit, and ample supply of tough love have enabled many of us, even in the darkest hours, to somehow put one foot in front of the other--and be brave enough. This book gathers, each on a single page, more than 100 of Strayed's indelible quotes and thoughts--"mini instruction manuals for the soul" that urge us toward the incredible capacity for love, compassion, forgiveness, and endurance that is within us all. You can't ride to the fair unless you get on the pony. CHERYL STRAYED is the author of the #1 New York Times best seller Wild: From Lost to Found on the Pacific Crest Trail, which was the first selection for Oprah's Book Club 2.0 and became an Oscar-nominated film starring Reese Witherspoon; Tiny Beautiful Things: Advice on Love and Life from Dear Sugar, a national best seller now the basis of the WBUR podcast Dear Sugar Radio, co-hosted with Steve Almond; and Torch, her debut novel. Her books have been translated into forty languages, and her essays and other writings have appeared in numerous publications.